Arvada Towing Service is your local, family-owned, full- service towing company. We provide roadside assistance services to Arvada, Denver Colorado and all surrounding areas, including Wheat Ridge, Lakewood, Westminster, Northglenn, Broomfield and beyond. We have a sterling reputation for reliability, promptness, and most important, honesty. Fill out the form on this page for a speedy reply from us in advance of any emergency. We will be happy to answer any questions or concerns you may have. Don’t wait until your vehicle breaks down and you need emergency service and don’t know who to call. Make contact with us now. ​Automobile breakdowns and accidents don’t occur during business hours only. 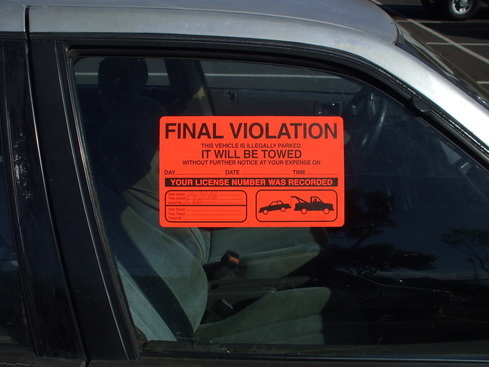 You need a towing Company that’s available for quick response 24 hours a day. If you are stranded late at night in an unfamiliar place, you don’t want the cheapest tow truck service, you want the one that will be there soonest. And that one is Arvada Towing Service. Our drivers are very experienced and rigorously trained. They know your car is your baby and they will treat it accordingly. We pride ourselves on being Arvada’s first choice for Towing Prices and service. Changing a flat tire on your car isn’t rocket science but you do need to know what you’re doing. A certain amount of physical strength is also helpful. 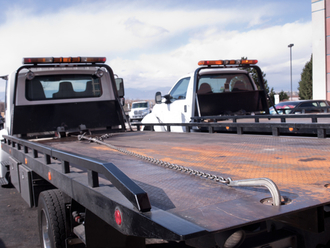 Lacking both of those along with someone who you can depend on to do this for you, you just call the always dependable Arvada Towing Service. It’s up to you, however, to have a spare available! Remember, always be prepared. There are many things out of our control, such as flat tires. But having an available spare is something you can control! Oh, no. You left your lights on and so now your battery is dead. You just need a quick jump start from another vehicle and you’re on your way home. As part of its roadside assistant services, Arvada Towing Service will radio dispatch a truck to you quickly and hook up the jumper cables. In years gone by, when you had the occasional problem of being locked out of your car, a police officer came with his handy tool and unlocked your door. Well, that went the way of the free light bulb years ago. Fortunately, today you can call Arvada Towing Service and we will get to you quickly and get your door open with our own handy tool. It can happen. You thought you could make it home even though your car was running on fumes. The one time you decide to push it another mile-you run out of gas. Your heart sinks right down to your toes. It happens to everybody at least once in their lifetime. If you’re lucky, someone is available when you call and they bring some gas for your vehicle to wherever you’re at. However, if no one answers when you call, Arvada Towing Service is always there and we will quickly get you enough gas to get you going and on your way to the nearest gas station. So, if the weather is bad or the gas station is too far away, don’t panic. We are just a phone call away. All of our drivers go through a rigorous background check, are CDL licensed and routinely drug screened. They are always clean and presentable as well as courteous and professional. We are licensed, bonded and insured well above state minimum requirements. All of our equipment is clean, well-maintained and the best quality. We go the extra mile and our customers are worth it. We’re people pleasers and we love our customers. We are always honored that they chose us for their Denver 24 hr towing and roadside assistance needs. We strive to be the gold standard in full service towing companies. So if your wondering if there are any tow trucks near me ? Call us today for the best in towing service in Arvada and the surrounding areas.